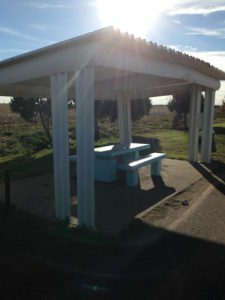 An Oklahoma reststop employs used guardrail to build picnic shelter. Guardrails daily protect America’s travelling public, but once removed from roadside service, guardrail boasts a brilliant second career as the fence-of-choice for erosion control, beef/dairy producers and greenhouses alike. There truly are so many unique guardrail uses. For years, AllRail Inc. has led the environmental and economical mission of re-tasking hundreds of miles of guardrail panel. There truly are so many unique guardrail uses. Our customers are amazing and have found so many creative and unique guardrail uses! 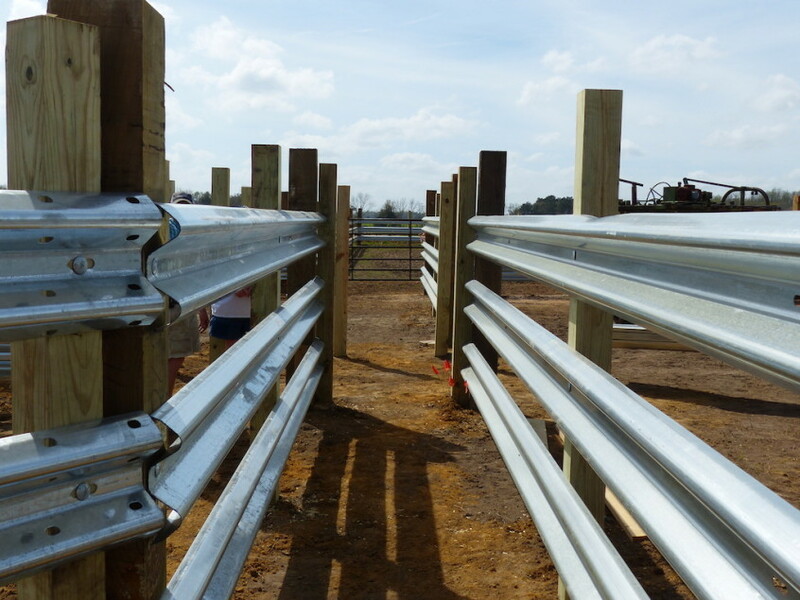 If you can think of a project for your farm, greenhouse, warehouse etc…, chances are you can use guardrail to build it. One reason guardrail is in demand is that it last for a lifetime in these applications. Our customers are smart and they want a product that will produce right away. Guardrail is that product. Guardrail for Driveway Watersheds are one of the many great ways to employ used guardrail. It’s an innovative use of reclaimed used highway DOT guardrail panels — we’re not sure if it started in North Carolina, South Carolina or on the hilly slopes of Virginia, but this trick really works. We’ve seen fully loaded 18 wheeler trucks motor right over these sticks of average galvanized used highway guardrail panels without the used guardrail offering so much as a groan. It keeps performing time and time again. Check out this video of Guardrail being used as Water Breaks and Erosion Control. Lets take a photo tour of all the different creative ways customers are repurposing used highway products and using our new LiveStock Steel.